WASHINGTON — The Senate Commerce Committee said on Thursday that a hearing planned for Nov. 14 on reports of engine fires involving Hyundai Motor Co. and Kia Motors Corp. vehicles was on hold, but could be rescheduled for a future date. The nonprofit consumer advocacy group Center for Auto Safety said last month 103 fire complaints had been filed with U.S. safety regulators since June 12 and urged an immediate recall of nearly 3 million vehicles. "While the committee does not anticipate convening a hearing on vehicle fire safety next week as previously contemplated, discussions among the committee and two auto manufacturers about participation at a future date remain ongoing," Frederick Hill, a spokesman for Sen. John Thune who chairs the Commerce Committee, said Thursday. 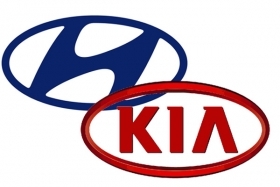 Hyundai and Kia both said they had cooperated with Senate Committee staff on the issue and NHTSA in its ongoing investigation. Kia said in a statement that "to quickly and effectively address non-collision fire incidents, [the company] is using in-house and third-party fire-investigation companies and has engaged an independent senior fire expert to evaluate the results of such fire event investigations." The company has consulted with Frank Borris, who until 2016 headed the NHTSA's Office of Defects Investigation "to evaluate the organization's response to these incidents," Kia said. It would "take any necessary corrective action in a timely manner," Kia added. Hyundai said separately it "unequivocally [shares] the committee's goal of assuring the safety of [its] vehicles. Hyundai welcomes a more comprehensive review of non-collision fires among all automakers." At the time, Kia did not recall its vehicles, which share the same "Theta II" engines. In March 2017, Hyundai expanded its original U.S. recall to 572,000 Sonata and Santa Fe Sport vehicles with "Theta II" engines, citing the same issue involving manufacturing debris, the NHTSA said.